Sri Lanka’s Central Bank unexpectedly raised its key policy rates yesterday, a move aimed at defending a faltering rupee currency as foreign capital outflows pick up amid an escalating political crisis and rising U.S. interest rates. Immediately after the tightening, however, the rupee dropped to a fresh record low of 176.30 against the dollar, underscoring growing pressure on the economy from political turmoil, which deepened as Sri Lanka’s Parliament passed a no-confidence motion yesterday against the newly appointed Prime Minister Mahinda Rajapaksa. The Central Bank raised the standing lending facility rate (SLFR) by 50 basis points to 9.00 percent, its highest since 2013 and increased the standing deposit facility rate (SDFR) by 75 basis points to 8.00 percent, its peak since 2009. The country was thrown into crisis last month when President Maithripala Sirisena fired Prime Minister Ranil Wickremesinghe. Rajapaksa, a pro-China strongman, was appointed as prime minister but Sirisena dissolved Parliament. The Supreme Court on Tuesday stayed the presidential decree to dissolve Parliament and hold fresh elections and the house sat again yesterday. Despite the rupee’s fall, analysts polled by Reuters were expecting the Central Bank to leave the rates unchanged. Sri Lanka’s key rates had been unchanged since a surprise cut in April. “Hikes to the main policy rates were likely to have been driven by concerns about weakness in the currency,” Capital Economics analysts said in a note adding: “Policy over the months ahead will depend on the political situation”. Analysts said the market was confused over the government in power as Rajapaksa did not step down and his allies did not accept Parliament’s decision on the no-confidence motion. 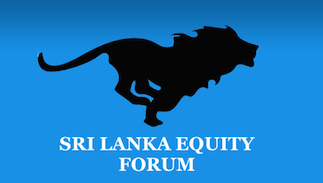 Since Wickremesinghe was abruptly fired on October 26, Sri Lankan stocks have suffered net foreign outflows to the tune of Rs.7.7 billion, while its government securities saw net foreign selling worth Rs.21 billion. The stock index dropped nearly one percent in early trading yesterday. Higher borrowing rates could hit the US $ 87 billion economy’s growth, which cooled to a 16-year low of 3.3 percent last year due to tight monetary and fiscal conditions, droughts and floods. The country’s economic growth is likely to remain subdued and below the envisaged levels in 2018, the Central Bank said, warning that short-term monetary and fiscal stimulus is unsustainable and leads to overheating of the economy.